Why I DON'T Deal with Designer Clothing! Why I DON’T Deal with Designer Clothing! To buy quality clothing in real bulk, you need TONNES of money! Tens of thousands! You can’t just buy a few items and expect to build a sustainable business around it. You need tens if not hundreds of various items, each in multiple colours and sizes and good quantity. This means that to stock just one pair of jeans, in 3 colours, 5 sizes and each in a quantity of 10 means that the TOTAL number of items is 150! Multiply that by say £20 (as cheap as you’ll get with designer clothing) and you get a £3000 bill for just ONE item! You’ll get many returns when you work in the clothing market. 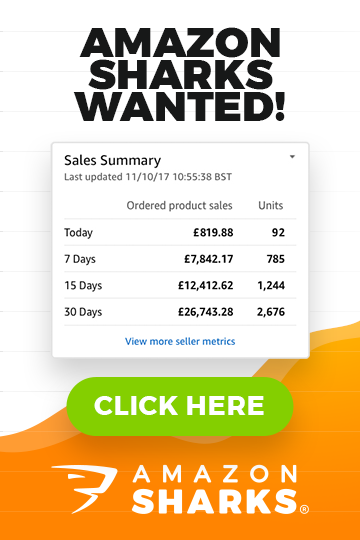 Many people will order wrong sizes, some simply won’t like how it fits and so on – so you’ll have to deal with all of this and it really doesn’t help you running a home business! The result will be a large stock pile of items without their labels and sometimes packaging, so you cannot resell them as brand new! This is something very important to keep in mind about a clothing business. Fashion! It changes quicker than iPhone versions. And I’m not only talking about seasonal changes (like summer / winter) – each year there’ll be something new that becomes popular and many older items will go out of style. This means only one thing – lots of dead, slow moving stock you’d be lucky to sell off at cost price, never mind make any profit on. So clothing ‘in general’ isn’t really suitable for newbies. 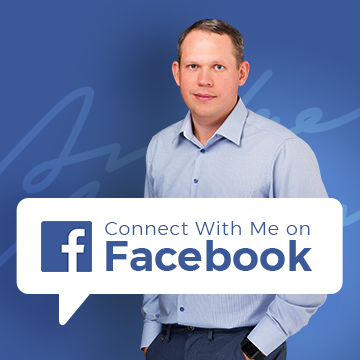 This business carries too many problems – problems only much bigger, established companies can afford to deal with. Talking of which; while you can get decent views and sales if you’re a TRS on eBay and have great looking listings, you’ll still be competing with all the large stores that have outlets on eBay and run on-going promotions. These outlets charge rock bottom prices that there’s no way you can compete with. Stock sourcing will be the first big hurdle you face. The internet is FULL of so-called wholesalers who sell fake designer clothing – it’s really got to the level where it’s almost impossibly to find a legit wholesaler. Scam artist know very well that designer clothing is in huge demand and they play on this – they put together website after website and list all the brands you wish for, at rock bottom prices! I hope I don’t have to explain to you that they’re selling FAKES, which are of course completely illegal. If your main selling platform is eBay, you have to be extremely careful with what brands you sell as many designer labels take part in the VERO program. VERO program simply means that the brand owner can pull down any listings they find selling their items. No explanations, no exceptions – your listings will be taken down and you’ll be lucky if eBay doesn’t ban your account as a bonus! 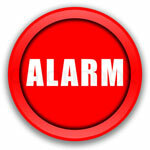 When someone reports that they have received a FAKE designer clothing piece from you on eBay, red alarms go off! It sometimes takes just one such case for eBay to ban your account for life! And often it doesn’t matter whether the item was actually fake or not, eBay doesn’t care much about that. If a buyer reports it as a fake, it’s fake in their eyes. As you know – there are many professional scam buyers on eBay too. They will order such designer clothing items from you and then report it as fake. Then you’re scared to death and have no choice but to give a refund. The buyer gets their money back and often keeps the item as well. You have no control over this really and such scam artists will greatly affect your bottom line. When you take all of this information into account, do you really think designer clothing is a good niche to be in? I can understand that many people are attracted to designer stuff, good looking clothing etc. I get that! But you shouldn’t start a business based on such subjective emotions. The fact that you love Dolce & Gabana doesn’t mean you can make a business out of it! The same principle can be applied to popular electronics too – e.g., people who are crazy about Apple products want to sell iPhones and iPads not knowing that there’s no money WHATSOEVER to be made in this niche. Or take video games – the fact that you’re a heavy player doesn’t mean that you can make money from selling those games! Interest and knowledge always helps when starting a business BUT only if the numbers are right. Just remember – the numbers come first! If you absolutely want to work with designer stuff, I would recommend going down the accessories route – it could be wallets, watches, jewellery and other similar stuff. The risk of getting fakes and false claims from buyers is still there BUT at least you won’t get that many returns due to sizing problems plus with accessories, your buying power will probably go much further. The exception to this would be handbags. Oh boy! Just do a search for any designer handbag + wholesale on Google! FAKES, FAKES, and more FAKES! “Wholesale designer handbags” is one of the most popular searches on Google for wholesale in general and scammers know this perfectly well. They build websites with the sole intention of scamming people! I often notice a new website selling such fake handbags and after a month it’s already gone. But only the website is gone, not the scammers! All they do is move onto their next website and find new victims to scam. From what I’ve seen, there’s a decent market and business in second hand designer handbags BUT only if you know this market very well – know what sells and what doesn’t, know how to spot fakes and so on. So if you’re a handbag fanatic, second hand designer hand bags is *possibly* a niche you can make a business out of. As for designer clothing suppliers – I strongly recommend going down the Trade Show route when trying to find designer clothing wholesalers. This way you can meet suppliers face to face, verify stock and keep the chance of getting scammed to a minimum. There are large Trade Shows held all over the world in this industry but before you even consider going to such an event, make sure you’re well prepared – that you at least have a brand / website in place, printed business cards and some knowledge of this market under your belt. No one will talk with you if you just say – “hey, I want to start selling your items on eBay, I can spend 500 quid on stock”! If you still decide to source via online channels – STAY away from any Chinese based websites selling wholesale designer clothing, handbags and other accessories. They will all be fakes! Payment options – if Western Union or Money Gram is one of the provided payment methods, with 99% certainty it’s a Chinese website. Shipping methods – if EMS is one of the listed shipping methods, it’s a Chinese website. This also helps to identify UK / USA based websites who sell fakes. What they do is make the site look totally legit (UK / USA) BUT ship items directly from China via EMS. So if on a UK / USA website you see EMS as one of the shipping methods, more than likely they sell FAKES and send them directly from China. Price! This is actually the easiest way to spot fakes. 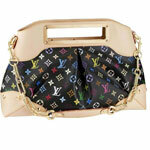 On sites that sell fake wholesale designer clothing, the prices are usually very low. Like $10 for a Ralph Lauren polo shirt. If the price looks too good to be true; it’s most likely a scam! If you follow the above 3 criteria, in most cases you’ll be able to filter out the websites selling fakes. Another quick tip – if there’s a designer brand name IN THE DOMAIN name itself, chances are it’s a brand new website and sells fakes. Why? All designer brand names are trademarked and can’t be used in domain names. Most companies monitor this constantly and as soon as such websites are on the radar, they’ll be taken down by the domain registrar. Obviously, there are more legitimate-looking companies, based in the EU/UK/USA, who will still scam you or send fakes. It doesn’t matter how good one or another supplier looks to you – always start with a small sample order, check its legitimacy thoroughly and only increase your orders gradually. Unless you have a really great understanding yourself, you should really seek expert advice on verification as the highest quality fakes are almost impossible to spot as they look so similar to the real thing. Quite often the only difference will be in the logo quality or stitches. To sum it up, if at all possible, stay away from selling designer clothing on eBay or your eCommerce shop altogether. That is unless you’re an experienced seller with at least £50k to spend on stock, connections in the trade and a good understanding on what sells and what doesn’t. You have said it oh so well. Years ago I planned to start a Business with quality clothes – and I gave it up after doing some figures on a paper – and I came to the same result. And you cannot find Quality anymore. I decided to sew myself – but didn´t found first rate cotton…. Here in Germany it is really hard to go Shopping – even 500 Dollar Shirts are fake. Wonder what that is meaning…. My designer jeans are selling just fine and I’ve never had a complaint. That’s great to hear Steevo! I’m sure for some people it may work just fine. I actually did at one stage go down this route and your right it is a bit of a nightmare with returns and ebay police were constantly on my back. I really would love to undertake your 60 day program, but not sure I can afford it. I need help with finding a niche. Does your easy auction business DVD discuss niches? But yes, my EAB course covers Market Research and how to find niches etc.